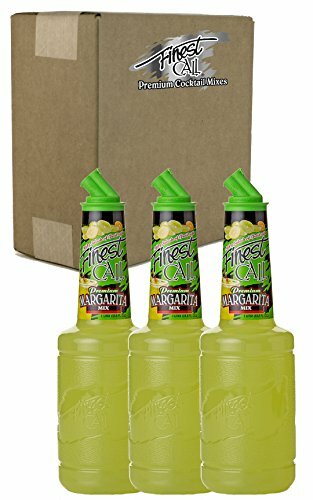 Finest Call is proud to present citrus based cocktail mixes to add the perfect flavor and sweetness to today's most popular cocktails.Finest Call Premium Margarita Mix contains the perfect balance of lime juice, lemon juice, premium citrus oils and natural sweetener.Includes a 3-pack of 1 liter (33.8 fl oz.) 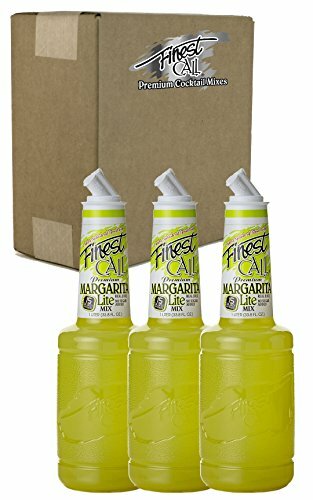 bottles of Finest Call Premium Margarita Drink Mix boxed for safe shipping. Finest Call Premium Margarita LITE Drink Mix contains the perfect blend of lime and lemon juice with real citrus essential oils and no sugar added. With a meager 15 calories per serving, enjoy top shelf margaritas guilt free.Includes a 3-pack of Finest Call Premium Margarita LITE Drink Mix boxed for safe shipping. The Finest Call Premium fruit-intensive puree mixes feature the world's finest fruit and the perfect touch of all natural sweetener, gently-processed to create a burst of unmatched "true to fruit" taste and aroma for Daiquiris, Margaritas, Mojitos, Martinis, Teas, Smoothies, Lemonades, Margaritas and more.Pureed Oregon Wilamette and Glen Glova raspberries are known for their radiant red color and powerfully good flavor. 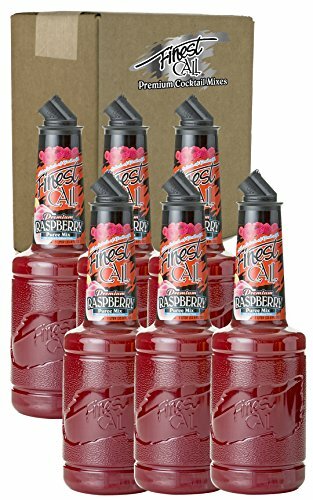 Adding pure raspberry juice to these delectable berries yields an authentic raspberry experience in every pour.Includes a 6-pack of Finest Call Premium Raspberry Puree Drink Mix boxed for safe shipping. Finest Call Premium Wild Berry Puree Drink Mix is a unique blend of strawberries, raspberries and mangoes, married together perfectly with the addition of pomegranate, America's favorite superfruit.Sweet, fruity combination with a deep, dark red color makes it perfect for adding an interesting flavor twist and rich red color to daiquiris, margaritas, and coladas. Thanks to its smooth texture, it's also a great accent to your favorite desserts! 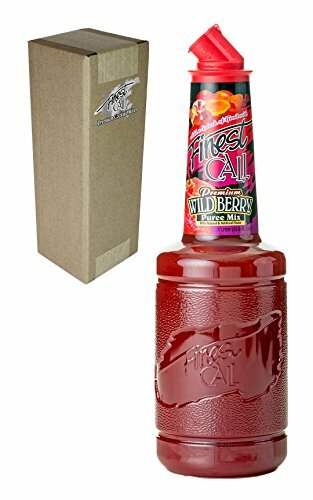 Pour Finest Call Wild Berry Puree drink mixer into smoothies and other blended drinks for extra fruity flavor.A single, 1 liter (33.8 fl oz) bottle of Finest Call Premium Wild Berry Puree Drink Mix comes individually boxed. 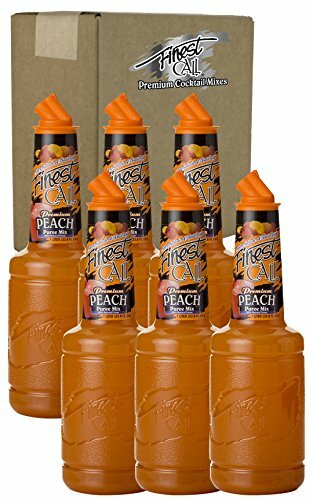 The Finest Call Premium fruit-intensive puree mixes feature the world's finest fruit and the perfect touch of all natural sweetener, gently-processed to create a burst of unmatched "true to fruit" taste and aroma for Daiquiris, Margaritas, Mojitos, Martinis, Teas, Smoothies, Lemonades, Margaritas and more.Finest Call Peach Puree Drink Mix brings together specially selected varieties of California peaches, including Elegant Lady, Summer Lady and Rich Lady, known for being very juicy and having supreme natural sweetness. 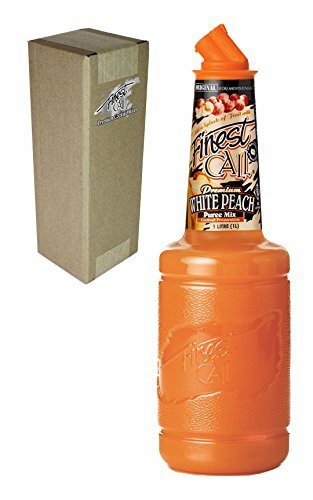 These ladies deliver a sweet delicious puree that tastes like biting into a perfectly ripened peach.Includes a 6-pack of Finest Call Premium Peach Puree Drink Mix boxed for safe shipping. 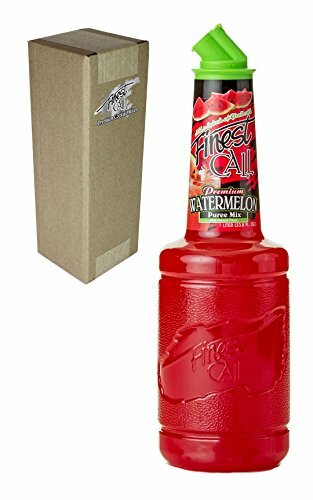 The Finest Call Premium fruit-intensive puree mixes feature the world's finest fruit and the perfect touch of all natural sweetener, gently-processed to create a burst of unmatched "true to fruit" taste and aroma for Daiquiris, Margaritas, Mojitos, Martinis, Teas, Smoothies, Lemonades, Margaritas and more.A single, 1 liter (33.8 fl oz) bottle of Finest Call White Peach Puree Drink Mix comes individually boxed. 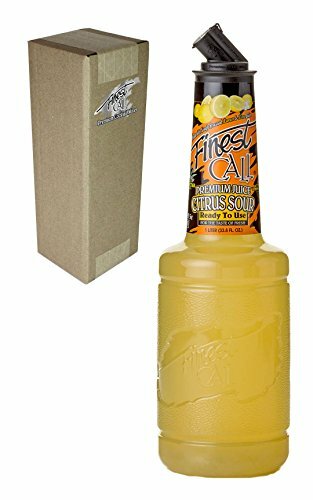 Finest Call Premium Juice Citrus Sour Drink Mix, Ready to Use (RTU), presents an even blend of single-pressed lemon and lime juices, rounded out with premium orange juice.Citrus Sour features cane sugar, a touch of agave and all-natural colors and flavors. 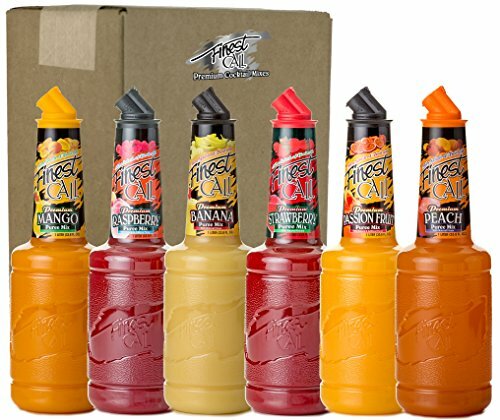 Can be used as the base for a top self margarita as well as function as a premium sweet & sour mix.A single, 1 liter (33.8 fl oz) bottle of Finest Call Premium Juice Citrus Sour Drink Mix, Ready To Use, comes individually boxed. Looking for more Finest Call Margarita similar ideas? Try to explore these searches: Wii Usb Ports, Fast Release Set, and Floor Sweeper. Look at latest related video about Finest Call Margarita. Shopwizion.com is the smartest way for online shopping: compare prices of leading online shops for best deals around the web. Don't miss TOP Finest Call Margarita deals, updated daily.